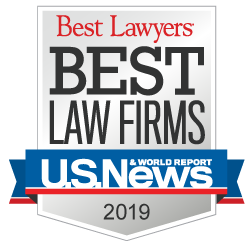 Corboy & Demetrio, the legendary Chicago personal injury and wrongful death law firm, with many top-ranked personal injury trial lawyers, has secured top settlements and verdicts for victims injured or killed by unsafe methods and practices used at construction and building sites. Our work on behalf of our clients has been exceptional. We have acquired more than $4 billion in settlements and verdicts and have attained nearly 600 settlements and verdicts in excess of $1 million. Our experienced and successful team of personal injury attorneys use their extensive resources, experts and investigative techniques to learn the true cause for the injuries or death at construction and building sites and determine the parties responsible. A $16.6 million global settlement for the victims of the Chicago Lincoln Park porch collapse. Corboy & Demetrio partner Francis Patrick Murphy represented 14 of the victims or victim's family - the largest number of victims represented by one law firm. After a 14 day jury trial, our client was awarded $7.6 million for injuries he suffered on a construction site when a 600-pound boom fell on his back, rendering him a paraplegic. He was represented by Philip Harnett Corboy, Jr. and Edward Willer. A $16 million verdict was obtained by attorney Thomas Demetrio for a roofer who was severely injured when he came in contact with power lines as he was inspecting a roof. A $7.3 million settlement for the family of a Com Ed worker who was working as a cable splicer when an electrical explosion occurred inside the manhole where he was working, causing burns to most of his body, resulting in his death six months later. The family was represented by Edward G. Willer and Robert J. Bingle. The family of a construction laborer who was killed on a job site when he was hit by a combination backhoe/end loader truck, will receive $4.5 million to settle a wrongful death lawsuit. The laborer was represented by lawyers Robert Bingle and Edward Willer. Tom Demetrio secured a $6.8 million settlement for a woman who suffered facial fractures while working on a highway construction project when a piece of sheet metal, being lifted by a crane, fell and struck a 4 x 4 the worker was holding. A bricklayer received a $4.6 million to settle a lawsuit stemming from the ankle fracture injuries he sustained in a scaffolding accident while working on a construction site. The estate of a young man, killed when a large piece of concrete broke away from the storage silo he was preparing for demolition and hit him, received $2.3 million in a settlement secured by attorneys Edward G. Willer and Philip Harnett Corboy, Jr.
A Morris maintenance technician, represented by Tom Demetrio and Edward G. Willer, received a $5 million settlement for injuries he suffered on the job when he was struck by an automated guided vehicle. When an elevator operator, working on a construction site, suffered a severely fractured thumb after he was hit by a wrench that had fallen from the 23rd floor, Attorney Willer obtained a $1.16 million settlement.